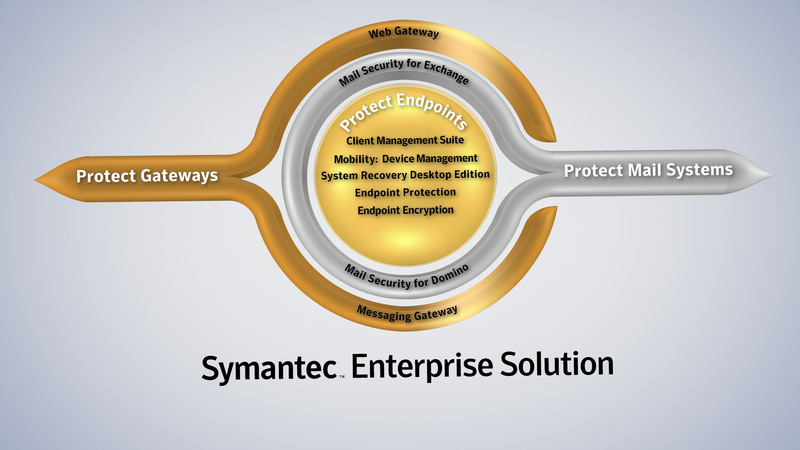 Symantec approached us with a need for a newly designed logo for their new product offering: Symantec Enterprise Solution. The logo would be used for printed collateral, online promotion and video assets. 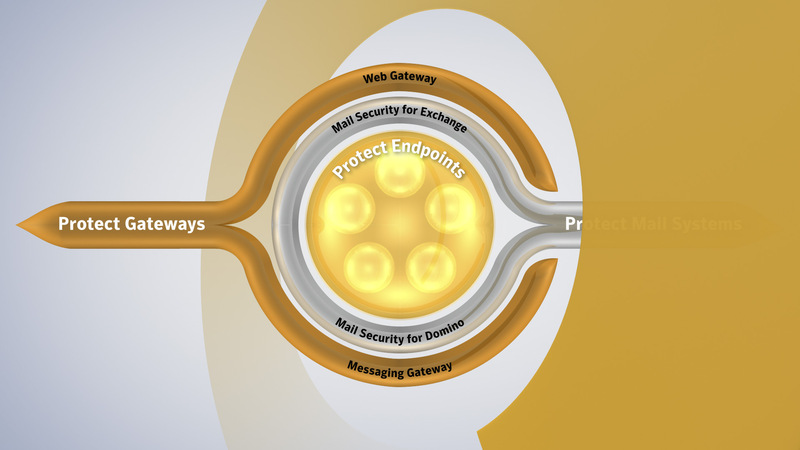 The final logo design represents the interlocking layers of protection that the software offers. After creating visuals to brand the SES product we were tasked to create two videos one for the end user and one for salespeople to utilize. 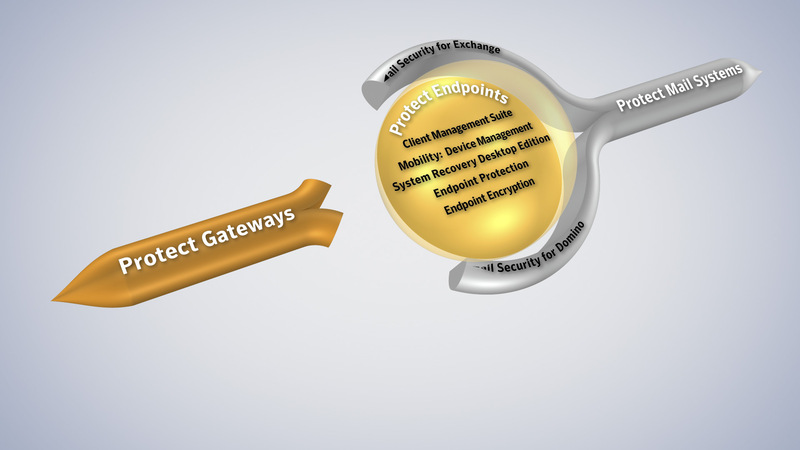 We worked to creatively visualize the key features of the software. The video was a success, encouraging people to download more information about the product. We developed a three-tiered logo that could be broken down by level and used modularly. 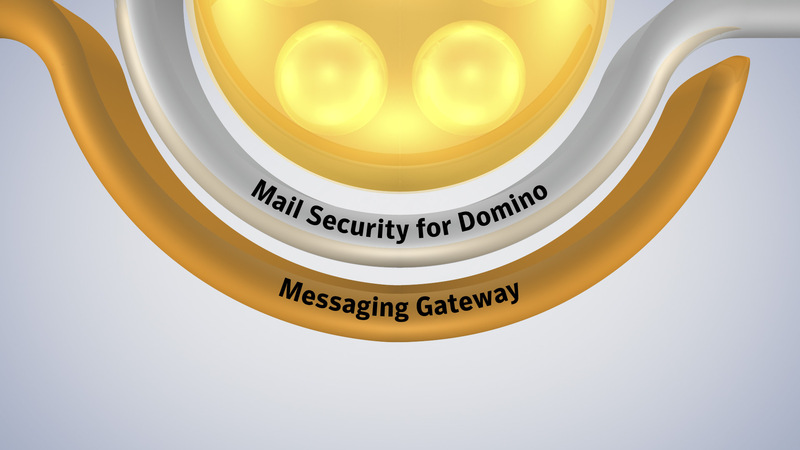 The three levels of protection were developed from the idea of a shield defending the central circular icon. 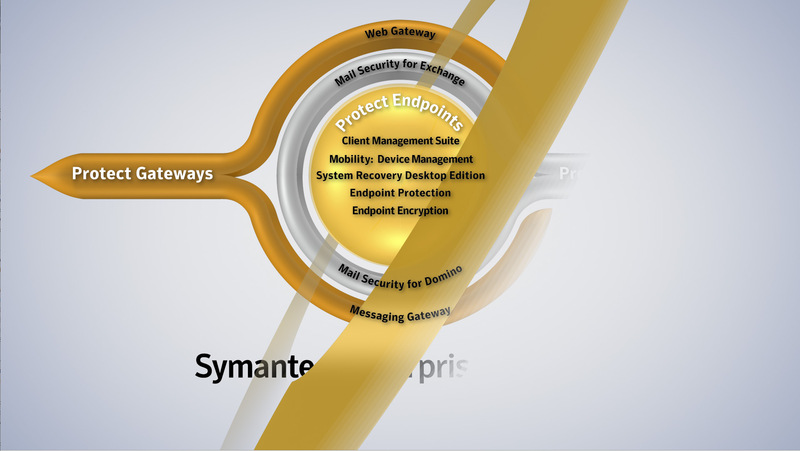 The end logo design played with the dual characteristics of the elegant ease of the software and the solid protection it offers. All elements of the video were conceived by our creative team from the flow of data represented at the beginning with hundreds of particles to the circular central icon and the individual circular elements inside. Transitions were accomplished with the circular atomic like rings repeating the visual theme of the circle. The design remained simple to not overwhelm the detailed information being provided to the viewer. Simple forms help to project the message of strength and stability of the software offering. The animation was developed off of the final logo design. The elegant build of the logo develops over the beginning of the script introducing the three layers of protection. 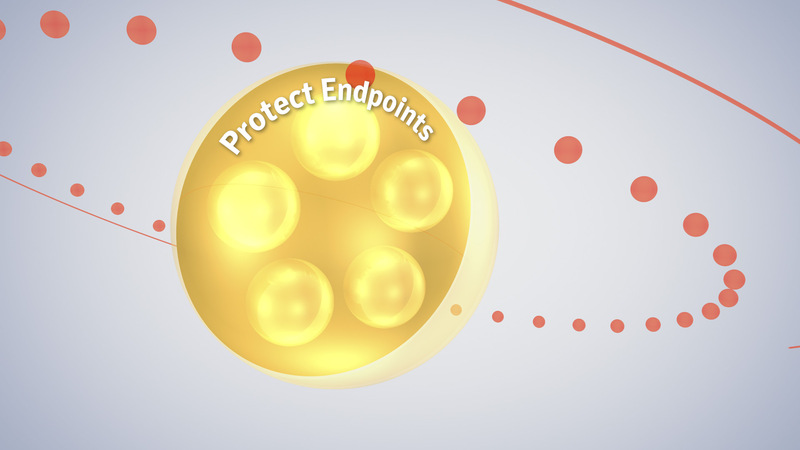 The animation then breaks down each layer of protection, guiding the viewer through the benefits of the software.